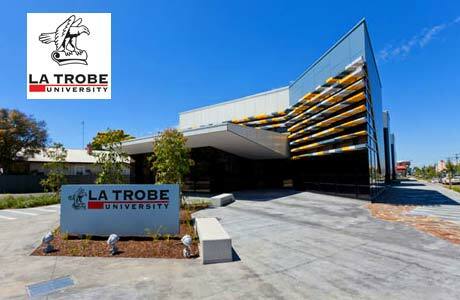 La Trobe University values academic excellence. If you are a high-achieving international student and thinking about applying for a full fee paying place in undergraduate or postgraduate study in 2018, your application will also be assessed for eligibility to receive a scholarship for the duration of your intended studies at La Trobe. The La Trobe College Excellence Scholarship (CES) is a scholarship available to cover tuition fees for high-achieving international students accepted into our undergraduate and postgraduate coursework programs. The scholarships are worth between a 15%, 20% and 25% deduction on annual tuition fees for the duration of your studies and are limited in number. You must be a citizen of a country other than Australia or New Zealand and be applying to start an undergraduate or postgraduate coursework program in 2018. > be applying to study a Higher Degree program at any La Trobe campus. > meet course prerequisites and have an International Baccalaureate Diploma score of at least 26 or higher (Australian Equivalency), for undergraduate studies. > meet course prerequisites and have a weighted average mark (WAM) of at least 65 per cent or higher (Australian Equivalency), for postgraduate coursework studies. Note: the full range of scholarships is only available for eligible programs with normal entry requirements below an IBD of 26 or an LTU WAM of 65% and specific eligibility will require a student entry score at least 5 points above the relevant threshold. It is important to visit official website (link found below) for detailed information on how to apply for this scholarship.